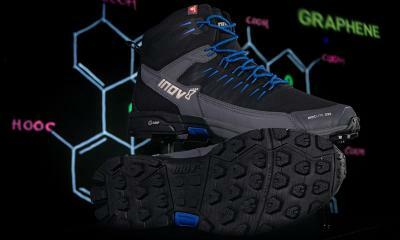 Michael Price, product and marketing director at Inov-8, said: "Working with the National Graphene Institute at The University of Manchester, we've been able to develop rubber outsoles that deliver the world’s toughest grip". "The hiking and outdoor footwear market has been stagnant for many years and crying out for innovation. We've brought a fresh approach and new ideas, launching lightweight, fast-feel products with graphene that will allow hikers, fast-packers and outdoor adventurers to get more miles out of their boots and grip to all terrains, no matter how gnarly." Dr Aravind Vijayaraghavan, reader in nanomaterials at The University of Manchester, added: "Using graphene we have developed outsole rubbers that are scientifically tested to be 50% stronger, 50% more elastic and 50% harder wearing but this is just the start. Graphene is such a versatile material and its potential really is limitless."